Pammy Blogs Beauty: Warm Weather Update: Get Glowing for the Season with IT Cosmetics! Warm Weather Update: Get Glowing for the Season with IT Cosmetics! The warm weather is upon us? What better time to update your look with some gorgeous new cosmetics?!?! I am in the process of not only moving, but also purging through my makeup collection. With moving, I am downsizing and only adding items to the collection that I truely love. 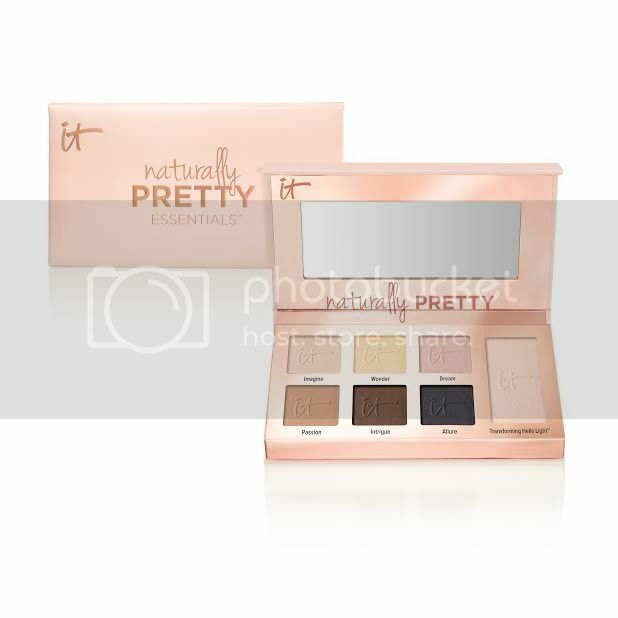 So, I am super excited to add these NEW goodies from IT Cosmetics: The Naturally Pretty Essentials Palette and the Sunshine in a Compact in Warmth. I adore neutrals palettes. Really. They are my jam. 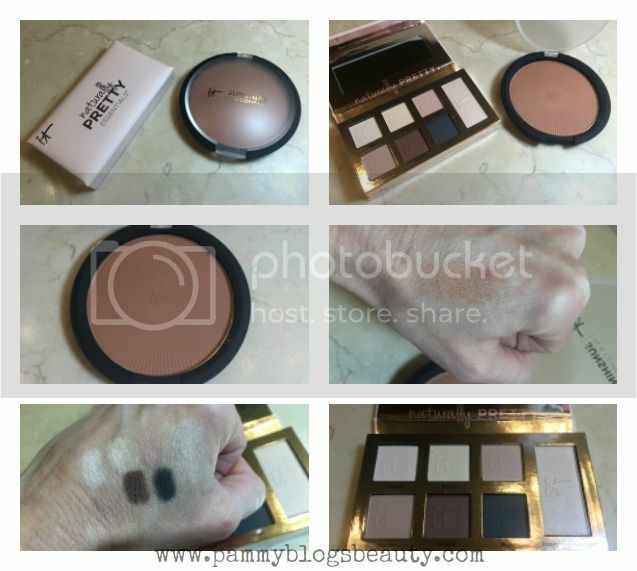 This IT Cosmetics Naturally Pretty Essentials is totally a stand-out neutrals palette. It has a complete range of shades to create a complete look from light to dark. The cool and unique thing about this palette is that six of the shadows are matte but when you add the Transforming Hello Light shade, they transform into satin shades! So cool! It gives a beautiful effect and adds dimension to your look. The eyeshadows themselves are packed with skin-loving anti-aging ingredients like hydrolyzed collagen, peptides, and real silk. IT Cosmetics is known for infusing skincare ingredients into their makeup products. Why not give yourself an anti-aging boost when you apply color cosmetics? It makes me want to use these products even more! Lets talk a bit more about these gorgeous shadows. Not only are they infused with skin-loving ingredients, but also they are beautiful and wear very well! The shadows are soft and blendable with saturated pigmentation. They can be worn on their own or transformed with the Transforming Hello Light topper shade. You can use the deeper colors wet as liner, too! The Transforming Hello Light shade can also be used as a highlighter as well. I like wearing it in the inner corner of my eyes. This brand-NEW from IT Cosmetics is gorgeous! 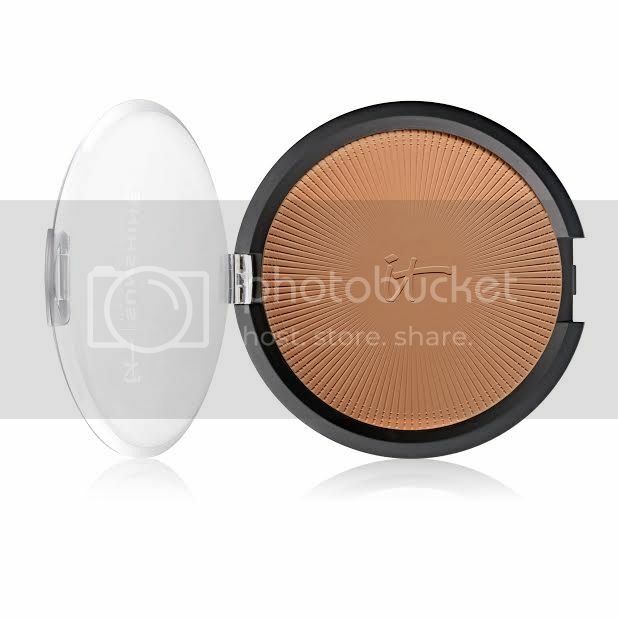 Adding a dusting of this matte bronzer to key areas of my face and neck is an awesome way to get my Summer "color" as well as to contour my face. The bronzer is matte. However, it does have IT Cosmetics' "drops of light" technology which brings radiance and glow to your face without adding shimmer. The texture of this powder is super soft and silky. It is very easy to work with and blend. Like all IT Cosmetics makeup, Sunshine in a Compact is infused with skin-loving anti-aging ingredients to give your skin that extra anti-aging boost every time you apply it! This powder doesn't settle into fine lines. In fact, it was formulated to help blur the look of lines and pores. This powder is talc-free and contains ingredients like hydrolyzed collagen, peptides, silk, and antioxidants. Not to mention: the color is gorgeous!!! What are your newest makeup loves for late Spring/early Summer?